For something so remote, Easter Island may as well be on the moon. But that has not deterred a steady influx of visitor arrivals. In 1989 barely 4000 people visited it while 2011 saw more than 70,000. This sounds good news for a local economy that relies heavily on tourist dollars. The allure and enigma of a moai has surely put it up there on everyone's bucket list along with Macchu Picchu and Angkor Wat. Despite its isolation in the Pacific ocean, Easter Island is surprisingly accessible. Lan Chile is the only airline flying regularly from both Santiago in the mainland and Papeete in Tahiti. Which means, being a monopoly, the airfare alone takes a big chunk on the budget (unless one gets on rare deals like I did). Cruise ships do occasionally visit to temporarily inflate the island's population of more than 5,700 inhabitants. Hanga Roa, meaning "wide bay", is the island's only town and where majority of islanders live. Most visitors stay here too. In 1774, British explorer James Cook anchored off the bay now bearing his name just in front of present day Hanga Roa. The town is quite tidy, compact and very walkable. Some travelers in fact merely walked from the airport terminal to their hostels in town - it is that close! On my fourth day on the island, I decided to take it slow, just getting along with the island's already slow rhythm. James - the guidebook author - is picking me up very early morning the next day for a sunrise view of Ahu Tongariki. Given that I visited Easter Island off season, I've just been fortunate with the sunny weather. Late May is already considered part of rainy season. Rapanui locals are quite friendly. It's not surprising to be greeted "hola" even if it's just on one Hanga Roa sidewalk or getting a free lift down the road. From the hostel, I walked to the Church of the Holy Cross whose facade showcases Rapanui art. Unfortunately, I would miss Sunday mass done entirely in the Rapanui language as I would have flown to Santiago by then. 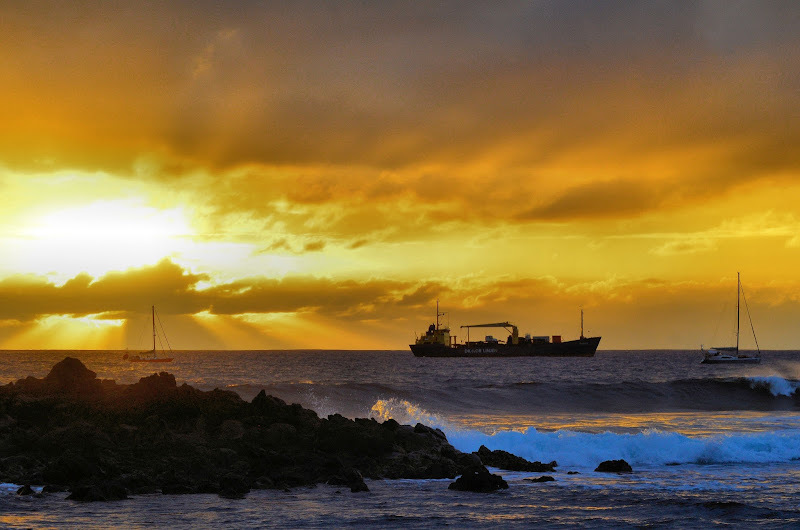 The island's Christianization came at a time when the Rapa Nui culture was impacted severely. After the fall of the moais and the rise of the Birdman cult, the local population plummeted abruptly in 1862 when slave trade raiders from Peru abducted hundreds of islanders, many of whom died in the long journey. After an international outcry, only a handful was repatriated back, bringing with them smallpox which further decreased the island's population. It was during this long dark days when a Catholic Mission was set up in the island. Many practices associated with the Birdman cult was abolished as the locals eventually embraced a new religion. I sat silently in the church pew, pondering on the Rapanui's religious foray which all began with ancestor worship. The church site is almost a hundred years old. Later in the morning, I found myself entering the local prison which anyone can freely visit. It's on the other side of the airport. There are currently 15 inmates (with only one female prisoner) serving different offenses, the most serious being murder. Interestingly, all prisoners walk around the prison compound and freely mingle with both police officers and visitors alike. Most of the time, the prisoners are busy with their hands carving wood meant to be sold as souvenirs. They're actually cheaper than what's sold in the markets. Walking back to town, I got offered a car lift by a very friendly Rapanui couple. Just a few blocks later, we found ourselves stopped by a parade on main street. Everybody important in town seem to be there. The husband speaks Spanish only and mumbles something about "Guerra del Pacífico" (War of the Pacific). It turns out all of Chile was celebrating Naval Day in honor of its historic win in this war against Peru and Bolivia. This victory gave Chile a momentum in land grabbing. After acquiring parts of southern Peru and Bolivia, Chile took its sights on Easter Island. In 1888, a "Deed of Cession" written in Spanish granted Chilean sovereignty over the island. For many years, Chile merely leased the island to a Scottish company which turned it into a huge sheep ranch while strictly confining islanders within Hanga Roa. The islanders only received full Chilean citizenship in 1966; a simmering resentment over El Conti (the continent) is going on. In fact, some are advocating secession today. Not everyone of course agrees. I had a great talk with hostel owner Lory Parakati that evening. While she's grappling with English a bit, I managed to understand what she's saying: Easter Island would not survive without Chile. She and her family enjoy benefits even those in the mainland can only dream about - no income tax, free schooling and health care (the only hospital in town just recently got upgraded), subsidized fuel and air travel and exclusive land ownership. As I lay in bed, fed up after getting spotty WiFi (while desperately trying to connect to Skype), the heavens opened up, pouring rain on what was once a completely barren, desolate island. I couldn't help thinking about what Lory told me. Some islanders may want independence - but just like some parched earth, it needs sustenance, it needs rain. I somehow get the idea that Rapa Nui is Chile's Guam. I lived in Guam for 16 months, and experienced living in a remote island, though Guam is more connected than Rapa Nui, of course. Still, there's talk of independence, but at the same time, a place that small cannot support its own without relying on something big, such as the US mainland. Not surprisingly, tourism is a big industry in Guam as well, as well as the US military. Looking at the map, I could see how each island group in the Pacific ocean seem like a tiny speck so remote from the big ones. While I could definitely see Rapanui's attachment to Polynesia (and some of them desiring to stay so), there's the practical side of things that just can't be avoided. Easter Island is better off under Chile right now. Visiting a prison isn't common in any holiday itinerary. Quite intriguing how visitors and tourists could mingle with ease despite with policemen around, with those 15 convicts. But then again, if they're busy doing handicrafts, perhaps noting to worry; unless they're using sharps. Paranoid me, hehehe! It certainly isn't in most people's itinerary hahaha! But I'm glad I did it not just because it's something unique but it gave me a glimpse of what prisoners in that part of the world do. Yes, they were using sharp tools but I never even thought about getting harmed in any way. Thank you for stopping by my blog and leading me here. We couldn't fit in Easter island into our itinerary on our visit to the region. Look forward to exploring it through your blog and amazing images. The beach shots are spectacular! Thanks. It's really nice to find another well-written blog to visit. I'm actually looking forward to reading more of your posts. Thanks for visiting Jeff! Just hopped over your site, will check more on your Peru adventures! The image of the Avenida is so inviting. 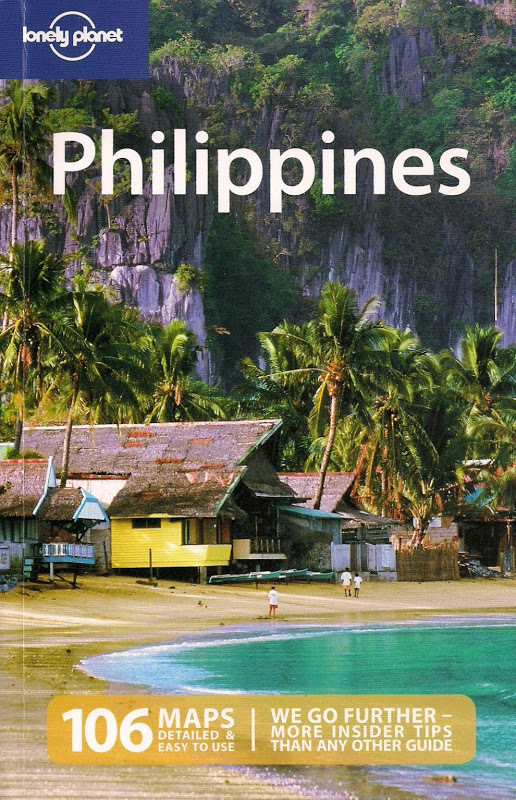 It doesn't differ from much from other countries/islands' tourist area. I love the ambiance you captured in that image. It beckons one to visit. Some people who've been to Hawaii say it has the same vibe to it. But beyond the town of Hanga Roa, things really change abruptly as there's no more houses to see. What a lovely, exotic town. Even the firehouse looks tropical! Love the last photo with the surfer. It looks like a quintessential island shot. Your Easter Island trip sounds amazing. Keith and I hope to go there sometime soon. Ahj...too many places, too little time. Hey Marisol! thanks. Hanga Roa is for the most part sleepy so nothing much is going on - perfect really for that get-away-from-it-all experience.